On 29 June 2018, a public hearing was held at Azad Maidan, Mumbai, to demand better rehabilitation of Tansa Project Affected People who are relocated in Mahul, Mumbai. 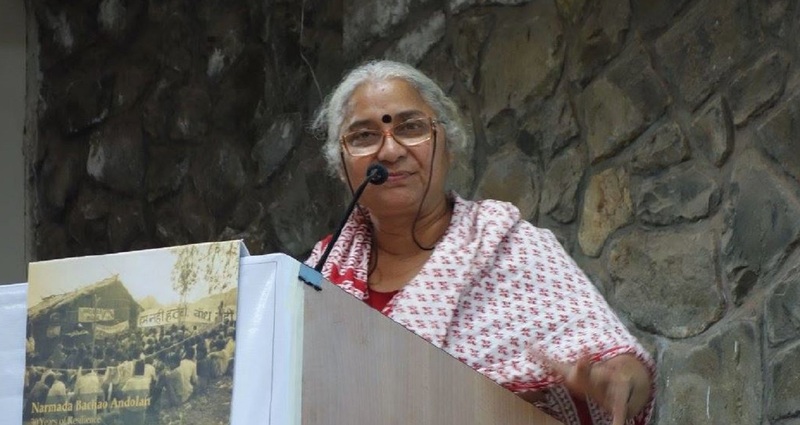 It was organised by Ghar Bachao Ghar Banao Andolan (GBGBA), spearheaded by renowned social worker and Right Livelihood Award Laureate Medha Patkar. RLC Campus Coordinator Dr. Swati Banerjee was invited as an external expert, together with a team of five students. This report delineates the experiences of people of Mahul and highlights the key issues emerging from the same and key areas of future action. The participation in the public hearing and the report is an effort of the RLC Campus Mumbai to participate in and also highlight the work of the RLA Laureates. Left and middle: Public hearing with Medha Patkar. Right: Dr. Swati Banerjee and TISS students.